Question: If you choose an answer to this question at random, what is the probability that you will be correct? Does this question have a correct answer? No, it is not meaningful. 25% is correct iff 50% is correct, and 50% is correct iff 25% is correct, so it can be neither of those two (because if both are correct, the only correct answer could be 75% which is not even an option). But it cannot be 0% either, because then the correct answer would be 25%. So none of the answers are correct, so the answer must be 0%. But then it is 25%. And so forth. is true or false. There are various more or less contrived "philosophical" attempts to resolve it, but by far the most common resolution is to deny that the statement means anything in the first place; therefore it is also meaningless to ask for its truth value. Edited much later to add: There's a variant of this puzzle that's very popular on the internet at the moment, in which answer option (c) is 60% rather than 0%. In this variant it is at least internally consistent to claim that all of the answers are wrong, and so the possibility of getting a right one by choosing randomly is 0%. Is the correct answer to this question "yes"? would have two different "right" answers, because "yes" and "no" are both internally consistent. In the 60% variant of the puzzle it is happens that the only internally consistent answer is "0%", but even so one might, as a matter of caution, still deny that such reasoning by elimination is valid for self-referential statements at all. If one adopts this stance, one would still consider the 60% variant meaningless. Both of these statements are false. where the only internally consistent resolution is that the first statement is true and the second one is false. However, it appears to be unsound to conclude that the Great Pumpkin exists on the basis simply that the puzzle was posed. On the other hand, it is difficult to argue that there is no possible principle that will cordon off the Great Pumpkin example as meaningless while still allowing the 60% variant to be meaningful. In the end, though, these things are more matters of taste and philosophy than they are mathematics. In mathematics we generally prefer to play it safe and completely refuse to work with explicitly self-referential statements. This avoids the risk of paradox, and does not seem to hinder mathematical arguments about the things mathematicians are ordinarily interested in. So whatever one decides to do with the question-about-itself, what one does is not really mathematics. If I choose a. with probability 25% and b. with probability 75%, a and d are correct. If I choose a. with probability 50% and b. with probability 50%, b is correct. If I choose a. with probability 75% and b. with probability 25%, c is correct. From the design of the question, it seems that whoever wrote it had in mind a uniform distribution over all four answers, but forgot to specify that. In that case Henning's answer applies. Each of the following statements is either true or false. Which of them are true and which are false? All of these sentences are false. Exactly 1 of these sentences is true. Exactly 2 of these sentences are true. Exactly 3 of these sentences are true. Exactly 4 of these sentences are true. If there is one right answer to the question, then you will answer this question statistically 25 percent of the time. If 25 percent is the "right" answer, then you actually have two options. If you have 2 options, then 50 percent is the statistical answer. And if since 50 percent is the only option place to mark down, that means that you will only get this answer right 25 percent of the time because you have a 1 in four chance. It is impossible without a miracle. Plus, if it is impossible then does that leave the option of 0 open because then there are no right answers? That is saying: "If there are no right answers, this is the right answer." What are you really saying there? Nothing. I think maybe you can't find out how many answers there are in the first place. There can't be only one. There can't be only two. There can't be three. There can't be four, and therefore one is the right answer? No. Because then you start back at the beginning. The question instructs to only choose one single answer out of four. And assume a uniform distribution, since that is most likely intended, then each answer has a chance of 25% to become chosen. So the correct answer should be: 25%. This computes to answer A being correct, as well as answer D. Could that be? Yes, it can. The question does not reveal how many of the four given answers are correct, but since there is one to be picked, assume that at least one of the four answers is correct. Let's call answer A + answer D the correct answer pair. Now, there are two possible choices (A or D) that result in 50% of the correct answer (A and D). Secondly, there is 50% chance of picking one (A or D) of two (A and D) out of four (A to D). So whether answer A or answer D is chosen, in either case the probability of being correct (50% × 50%) is 25%, which evaluates true. Thus, yes, the question has 2 correct answers. What is the color of the car? As owner of the car I know the correct answer is metallic black. But this would render the question unfair, because it is never possible to give this answer by only selecting one. The difference with the question in question is the equality of both answers to give, which makes it slightly more fair. But since you can select only half of the full solution, the probability is still 25%. See problem 2 here for a similar problem that can be solved. SPOILER: Solution here. Don't look if you want to solve it yourself. d) can't be correct. If it were, it would imply a) or b) or c) to be correct. The only possibility left is b), since I have already ruled out a) and c). But, b) contradicts d). b) can’t be correct for the same reason, basically. If it were true, since a) and c) can’t be true, this would imply d) is correct. But b) contradicts d). f) can't be correct. If it were, it would imply that e) is also correct, which would contradict the statement of f). This leaves only e) and none of the statements contradict e) so e) must be the correct answer. Does this probability paradox have a name? 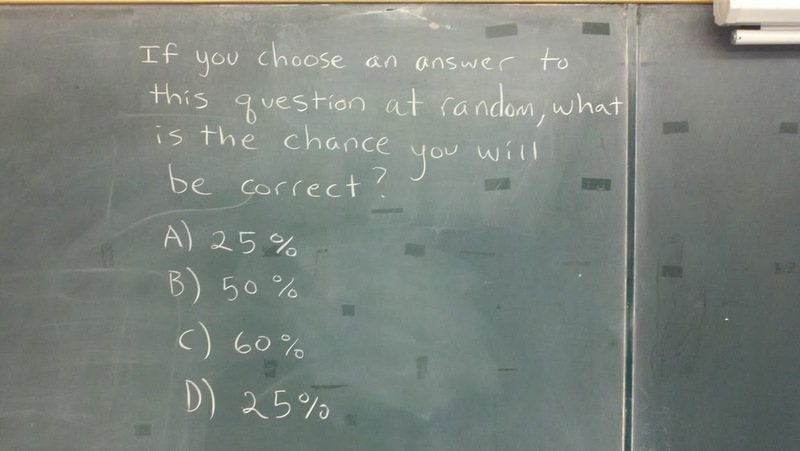 If you choose an answer to this question at random, what is the probability that you will be correct? Is this a question on probability? Or not a question at all? Is this probability question wrong to begin with? On a scale of 1 to 10, how likely is it that this question is using binary? 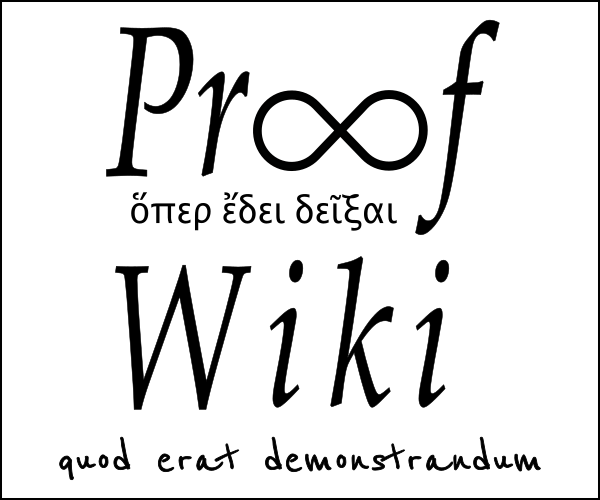 Probability of getting correct answer in a multi-choice question.